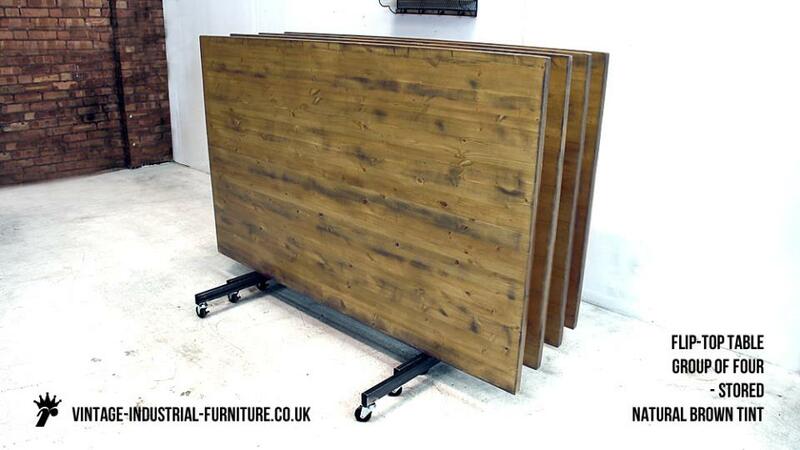 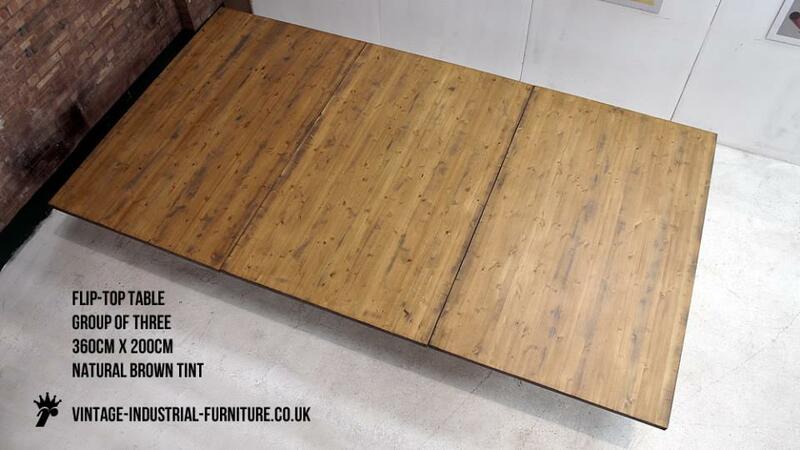 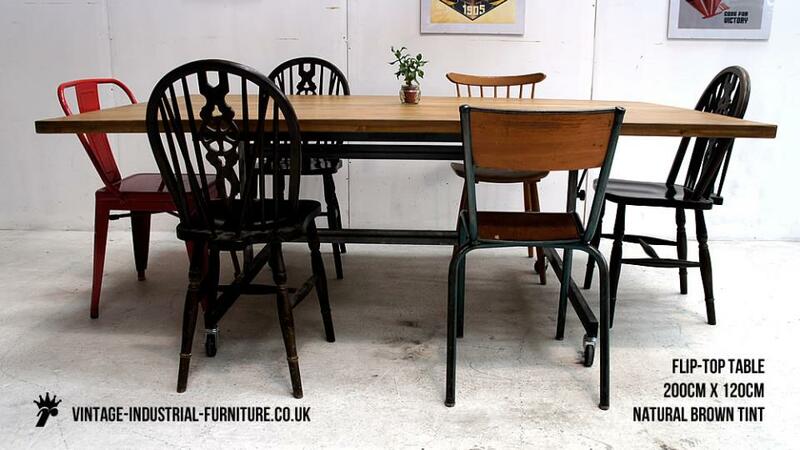 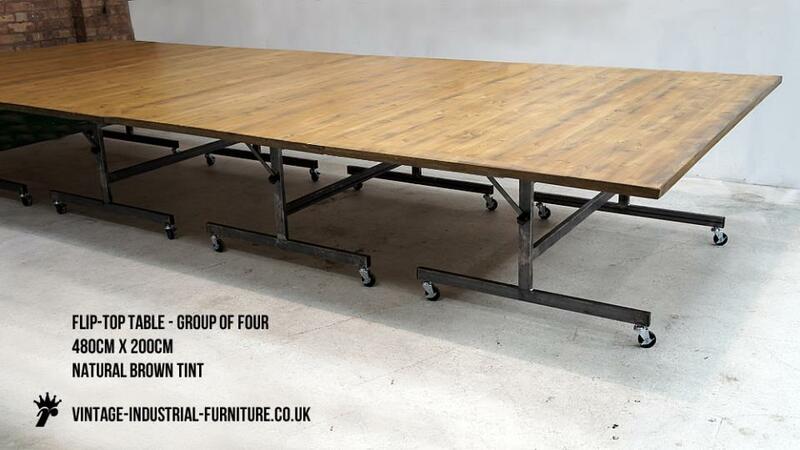 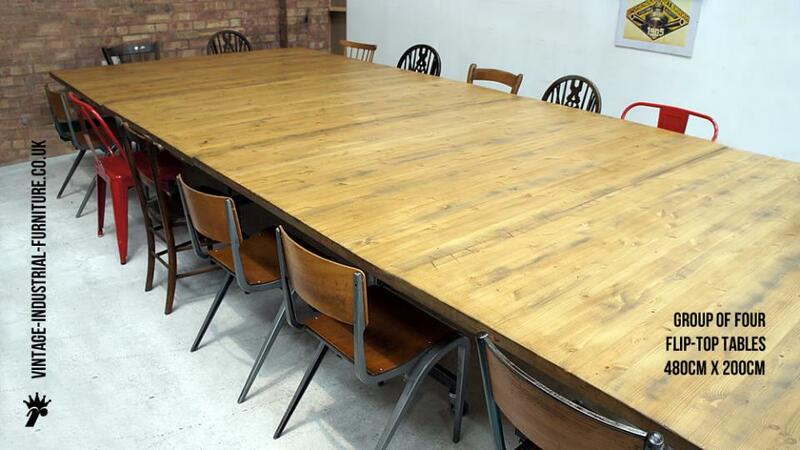 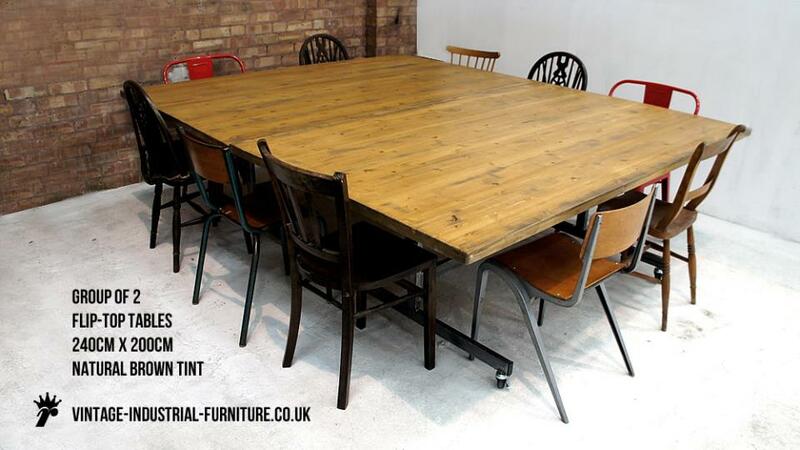 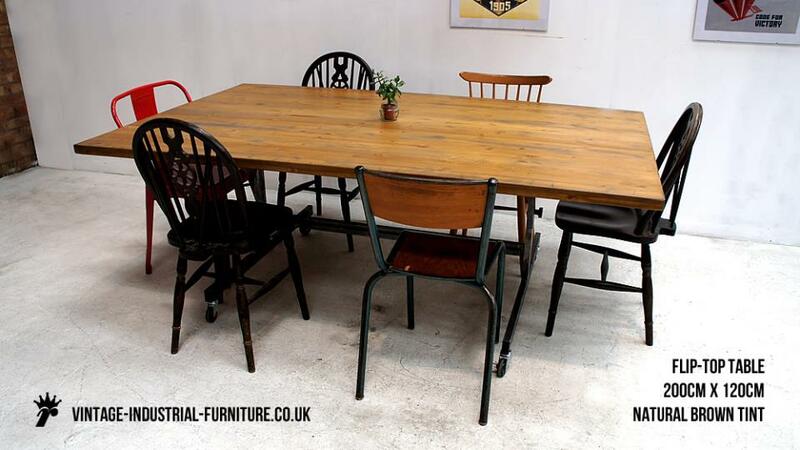 Our vintage industrial flip top table is a wonderful piece in so many ways, combining practicality with style. 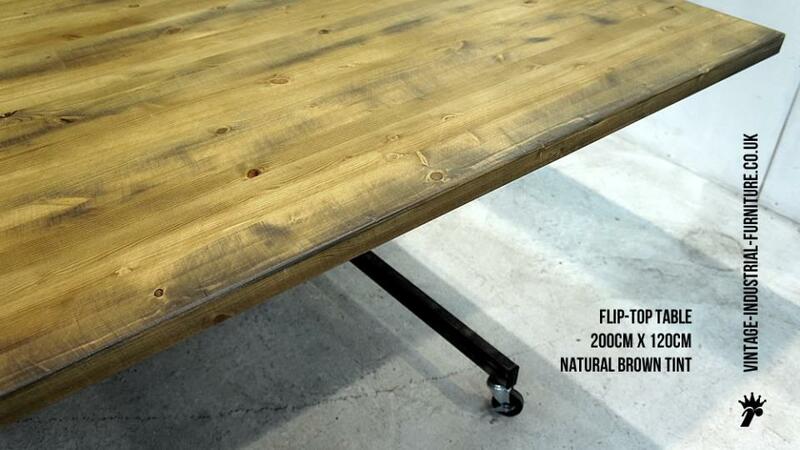 At the heart of our vintage industrial flip top table is the mechanism. 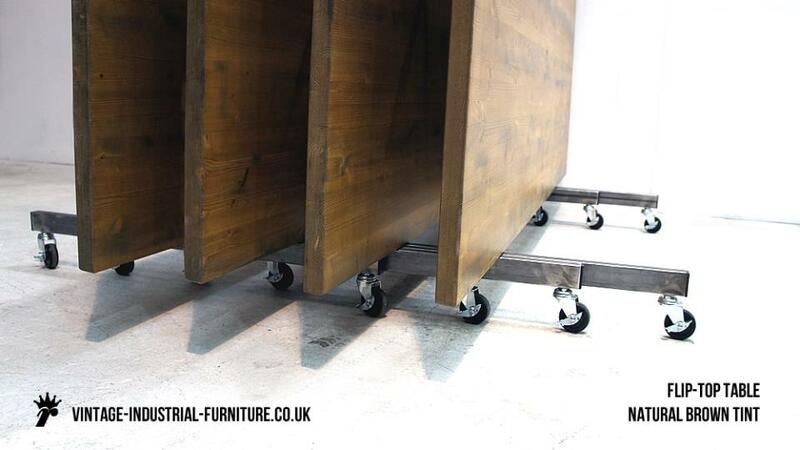 We have deliberately kept this simple and effective for reliability and longevity. 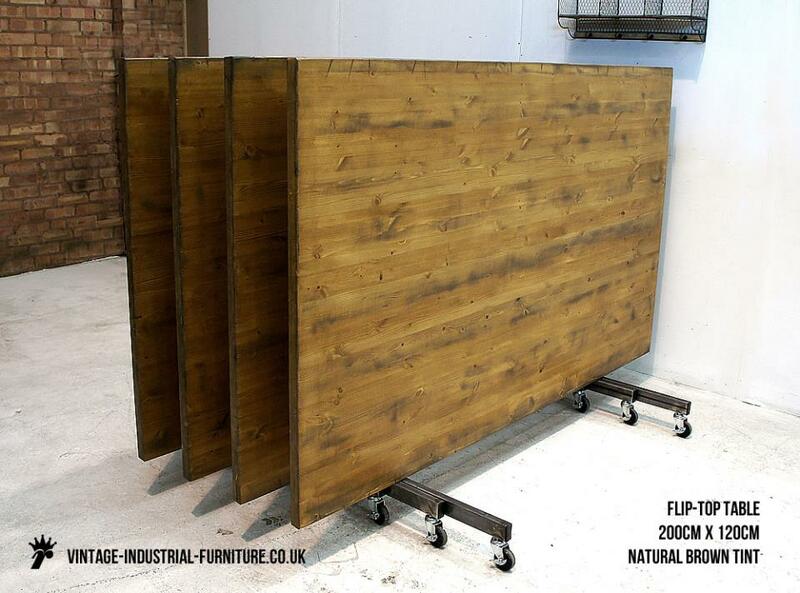 The near-centre location of the pivot creates a balancing effect allowing the top to be raised and lowered with minimal effort. 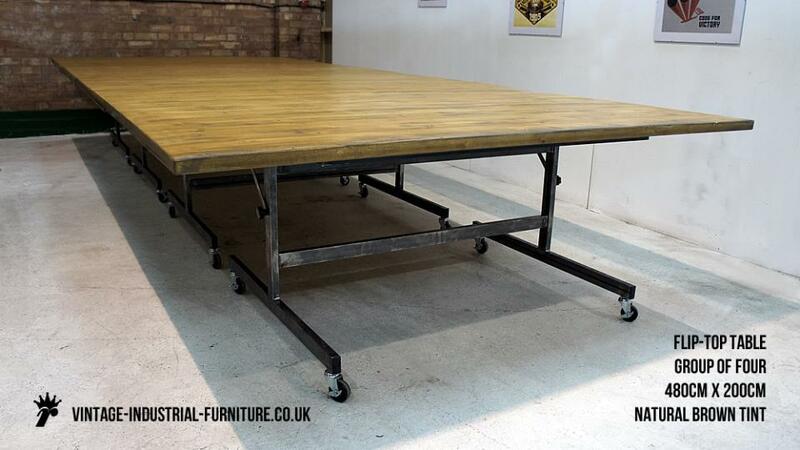 If you wish to buy a set of our vintage industrial flip top tables please ask for quantity pricing.